1. Fitzpatrick's Dermatology in General Medicine, 8e. Lowell A. Goldsmith, Stephen I. Katz, Barbara A. Gilchrest, Amy S. Paller, David J. Leffell, Klaus Wolff. 2. 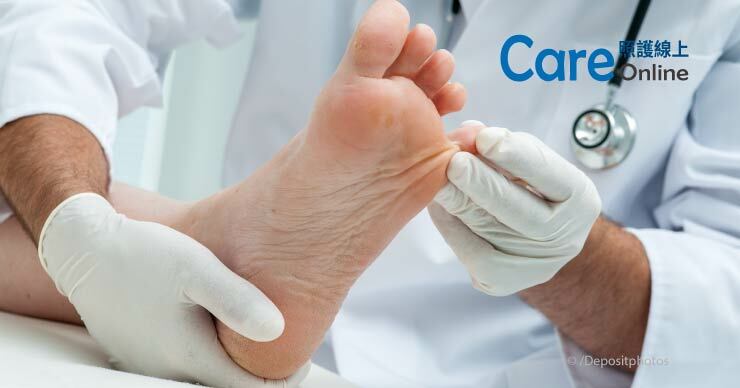 Part I: Onychomycosis: Clinical Overview and Diagnosis. Lipner SR, Scher RK. J Am Acad Dermatol. 2018 Jun 27. pii: S0190－9622（18）32188－1. doi: 10.1016／j.jaad.2018.03.062. 3. 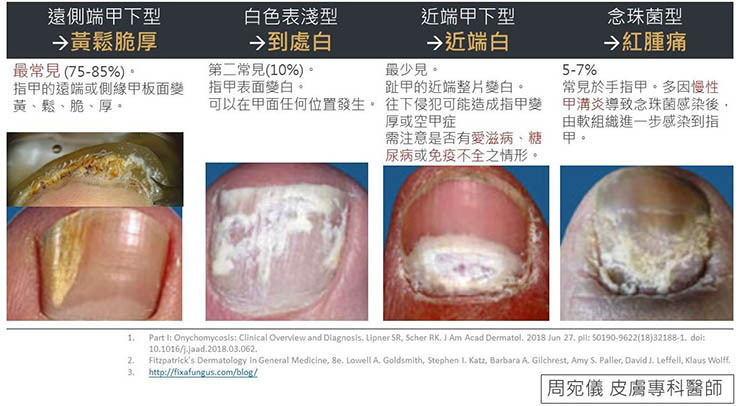 Part II: Onychomycosis: Treatment and Prevention of Recurrence. Lipner SR, Scher RK. J Am Acad Dermatol. 2018 Jun 27. pii: S0190－9622（18）32187－X. 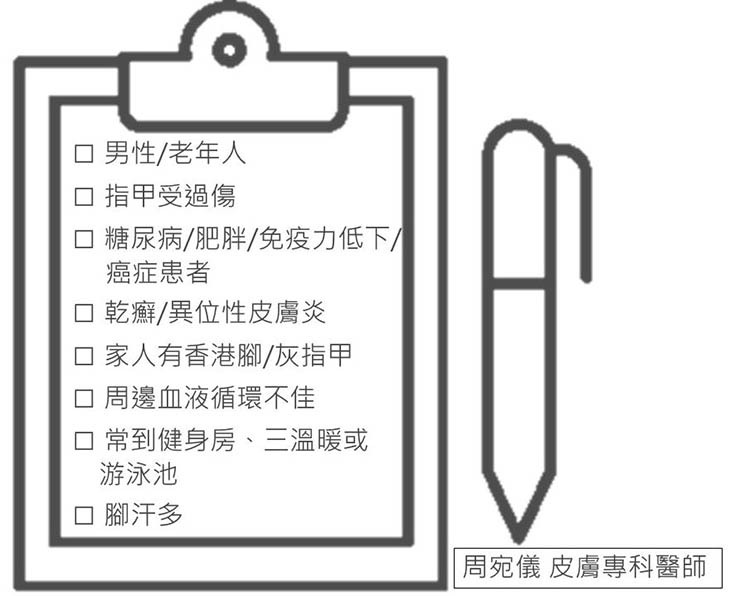 doi: 10.1016／j.jaad.2018.05.1260. 4. 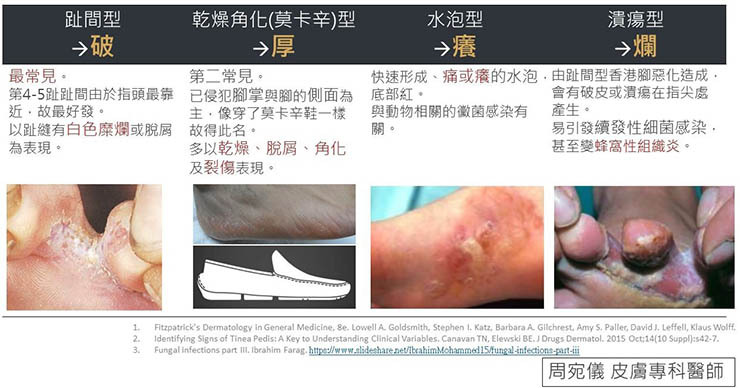 Identifying Signs of Tinea Pedis: A Key to Understanding Clinical Variables. Canavan TN, Elewski BE. J Drugs Dermatol. 2015 Oct;14（10 Suppl）:s42－7. 7. New Antifungal Agents and New Formulations Against Dermatophytes. Gupta AK, Foley KA, Versteeg SG. Mycopathologia. 2017 Feb;182（1－2）:127－141. doi: 10.1007／s11046－016－0045－0. Epub 2016 Aug 8. 8. Onychomycosis: Evaluation, Treatment Options, Managing Recurrence, and Patient Outcomes. Vlahovic TC. Send to Clin Podiatr Med Surg. 2016 Jul;33（3）:305－18. doi: 10.1016／j.cpm.2016.02.001. Epub 2016 Mar 26.